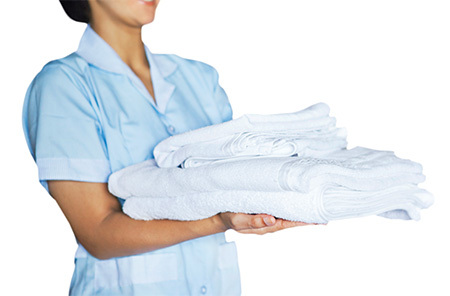 Environment-friendly housekeeping is not only good for our planet; it’s healthier too! You will be minimising air pollution inside and outside the premises. Each one of us can make an impact by reducing air pollution and global warming without having to sacrifice comfort or convenience. Personal health and environmental sustainability aren’t the only reasons why consumers across the nation are making this change by moving towards ecofriendly housekeeping, it’s also more frugal. Nothing disappears but the very fact that you can’t ever really get rid of any substance completely is the first thing to be forgotten when it comes to ecofriendly housekeeping. There is hardly any aspect of housekeeping in hotels where the green initiatives cannot be successfully applied. These ecofriendly practices can be easily replicated not only in the hospitality industry but in other industries as well. 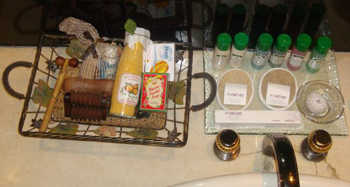 Guests can be treated to a host of environmental products from recycled paper to herbal amenity products. The hangers used in guestrooms could be made from sawdust. 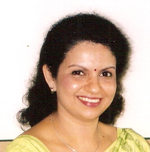 Herbal products manufactured under proper license are used, as they do not contain animal fat. At Orchid we manufacture under an Ayurvedic license. Reusable cloth laundry bags used instead of the standard paper or plastic bags. 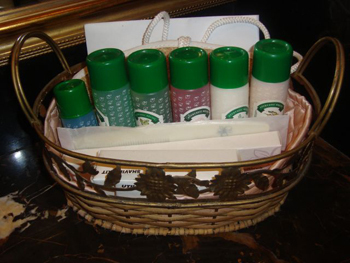 The guests’ clothes could be delivered back in reusable cane baskets wrapped in muslin cloth. A laundry button could be incorporated in the master control panel, eliminating the use of laundry pick up tent cards. Newspapers are delivered in reusable cane baskets/cloth instead of the usual paper or plastic bags. As a service at Orchid, the guests are provided with an “Eco Harvest” basket which contains an herbal pouch (which induces sleep when kept next to the pillow), two aromatic oils and four types of age old herbs. Eco-friendly pens and pencils are made using recycled cardboard, reprocessed plastic and scrap wood. The eco pencils are not made of wood but of a non-toxic polymer with the use of natural fillers. 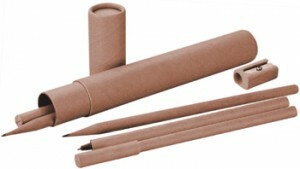 Wood saver pencils are made using a shaft, which is made of biodegradable materials such as talc, gypsum and clay. The cardboard, which is used as the barrel, is free from chlorine. The plastic at the head and base is made from reprocessed ABS (a Thermoplastic material that can be recycled and/or remoulded). Scrap wood can be obtained from discarded cases used for packing purposes. The stationery, guest services and mini-bar folders could be made from jute. Instead of cut flowers, potted flower bearing plants are used all over the hotel. All these plants will clean up a variety of pollutants in the atmosphere. Some of the plants used at The Orchid Hotel are potted chlorophytum commonly known as the spider plants and Heart leaf philodendron that are good in removing formaldehyde from the air generated from carpets, fibre boards, plywood and natural gases. English Ivy, marginata and golden pothos combat benzene found in tobacco smoke, synthetic fibres plastics and detergents. 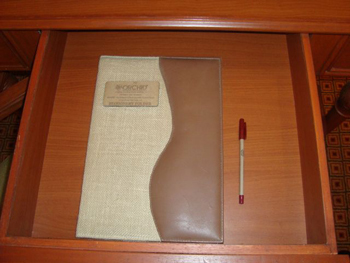 Guests checking in and staying for a day could be encouraged to reuse linen thus saving water and energy. It also increases the life of linen. 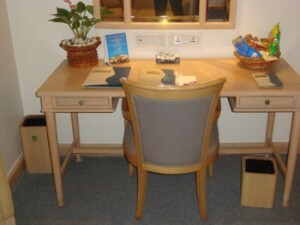 Hotels generate a lot of waste which could be recycled. For example, fruits could be served on request so as to avoid wastage. 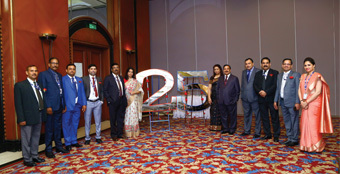 The Orchid in its endeavour to become a “zero garbage” hotel, has taken various measures to reduce the waste being generated. Vermiculture on the hotel site is one of the best methods. Kitchen garbage is diverted to nine bins built for processing waste. More than 300kg of organic waste generated at the hotel each day can be composted and the organic manure used in all the gardens of the hotel. 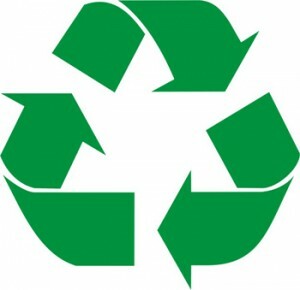 Thus to segregate waste at source, a separate recycling bin along with a regular waste bin should be placed in all rooms. The garbage bags used by the hotel could be made from recycled plastic and milk pouches. The glasses be turned upside down and kept in the tray and do away with having to wrap glass in a plastic bag. There is no use of carbon paper at the hotel, as the chemicals used in carbon paper are toxic which kill the micro-organisms that decompose solid waste. Anti Cockroach Herbal Treatment is used to eradicate cockroaches. This herbal paste is not sprayed but applied to all nooks and corners in the form of small globules in the premises. It causes no health hazards and requires no cleaning after the treatment is done. Hence, there is no wastage of water or detergents. This paste can also be applied in refrigerators, ovens, toasters, microwaves mixers and computers, as it is non-poisonous. All taps contain special aerators, which increase the water force and reduce outflow, saving water. Using these aerators saves up to 50% of water. In addition, the Ecoteria taps operate on timers. By installing the concealed cistern which uses only six litres of water per flush as against 15-20 litres used in conventional flushes, water consumption can be reduced. Urinal flush valve with infra red detector will ensure a definite flush after every use preventing the unwanted flushing of timer set systems. 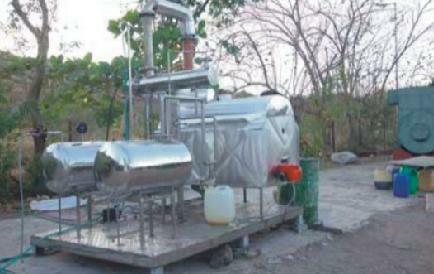 The wastewater can be recycled with the latest technology, treated and then reused in areas like air conditioning and gardening. The air-conditioning system can be attached to the STL tank to store cold energy during off-peak hours. This stored energy can then be used during the peak hours/periods reducing compressor overloading and cutting power consumption. The heat generated from the air conditioners can provide hot water to the guestrooms, laundry, toilets and kitchen. Within the room, the guests are encouraged to adopt the eco initiative. At Orchid, guests can participate in the energy conservation by pressing the Eco Button on the master control panel placed alongside the bed. When the guest presses this button the air-conditioner temperature increases gradually by two degrees. More than 30% of the guests participate daily in this Energy Saving Programme and receive certificates from us along with a free subscription to the Sanctuary (an environment-based) magazine. Again, refrigerators in the guestrooms can be equipped with ‘fuzzy logic’ and save up to 40% energy. This senses the load inside the refrigerator and cools accordingly. The Orchid displays a heightened level of environmental sensitivity in its architecture design as well. Double glass doors open to an imposing 70 feet lace fountain. The greenery is drip irrigated. Passive solar design, including a rooftop pool, to reduce heat loads on the structure is coupled with adequate day-lighting via a central atrium. Triple glazed windows provide increased thermal and acoustic insulation. The building is constructed from a variety of low resource consuming materials and is finished with low-VOC paint. All window frames are made from recycled rubber wood. In short, the property’s mantra is ‘Luxury with Responsibility’. Deluxe need not disturb, Comfort need not compromise and Entertainment need not be insensitive.